Tanja joined the team in 2002, bringing with her previous customer service skills and experience. 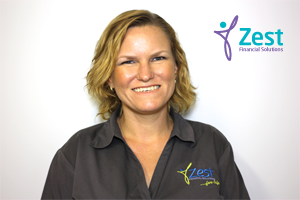 Throughout her time with Zest, Tanja held the role of office manager for the Ingham office, where she has help train the majority of the new staff inclusions. Recently Tanja took some time-off to raise her son, and has returned back on a part-time basis to assist with the administration of the office. When she is away from the office, Tanja enjoys spending quality time with family outdoors – boating, camping and dabbling in photography.